Each and every cell of a living organism, be it plants or animals, has DNA. This information-encompassing module is vital for all processes that govern the growth, reproduction, development and maintenance; and is also responsible for the continuation of heredity, an important aspect of our lives. In 1953 James D Watson and Francis H C Crick were the first who presented the DNA structure, which according to their findings is of double helix nature. To understand the inception of life, it is imperative to study the structure of DNA. An embryo uses DNA and RNA (similar structure as DNA with a small difference) instructions to make proteins transform into an organism. This new organism has all the characteristics of its parents, for this reason, a human has a human baby and a plant produces seeds. 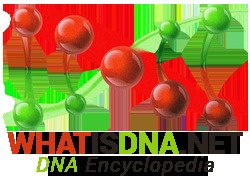 DNA and RNA are nucleic acids, which rule the development of embryo and copying of the genetic information. Apart from the role DNA plays in the reproduction and its associated heredity issues, DNA is also responsible for laying out the proper guidelines for the production of proteins that are essential to the appropriate functioning of our body. Trying to understand the structure of DNA may seem like a daunting task initially. However, that’s not the case and the basic DNA structure can be explained very easily. It’s all based on four nucleotides that show up again and again in a long chain. The particular order, in which they show up, sets the properties or traits of a cell and differentiates one chain from the others. Moreover, DNA is like two strands coiled together; this property is called double helix and is antiparallel (one of the strands is reversed). These DNA strands are made up of sugar, phosphate and nitrogenous bases. The former build the stranded part while two of the nitrogenous bases pair up and form the middle part. All in all, there are four nitrogenous bases, which are, Adenine, Cytosine, Guanine and Thymine. For convenience purposes, they are mostly referred to as A, C, G & T in DNA studies. The nitrogenous bases are categorized into two classes of purines and pyrimidines. A & G belong to the purine class while C & T belong to the pyrimidine class. The bases always pair in the form of A with T and C with G. Any other pair will not work out. Weak hydrogen bondings keep these bases together.